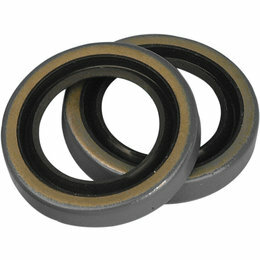 Genuine James Gaskets uses state of the art materials and production methods to make the best gaskets and seals available Two (2) wheel bearing oil seals Made in the USA Please Note: The image displayed is representative of the item, but may vary depending on your specific model. Genuine James Gaskets uses state of the art materials and production methods to make the best gaskets and seals available Two (2) front fork oils Made in the USA Please Note: The image displayed is representative of the item, but may vary depending on your specific model. 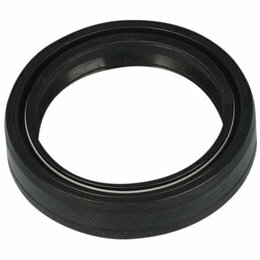 Genuine James Gaskets uses state of the art materials and production methods to make the best gaskets and seals available Two (2) fork seal backup washers Made in the USA Please Note: The image displayed is representative of the item, but may vary depending on your specific model. Genuine James Gaskets uses state of the art materials and production methods to make the best gaskets and seals available Fork drain chrome screw kit Made in the USA Please Note: The image displayed is representative of the item, but may vary depending on your specific model. 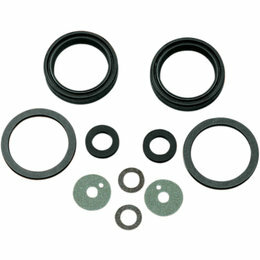 Genuine James Gaskets uses state of the art materials and production methods to make the best gaskets and seals available Front fork seal kit Made in the USA Please Note: The image displayed is representative of the item, but may vary depending on your specific model. 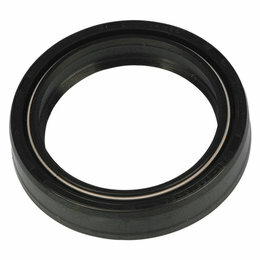 Genuine James Gaskets uses state of the art materials and production methods to make the best gaskets and seals available Front fork oil seal kit Includes: All oil seals, o-rings, and washers Made in the USA Please Note: The image displayed is representative of the item, but may vary depending on your specific model. 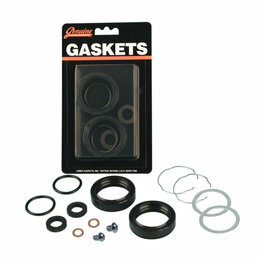 Genuine James Gaskets uses state of the art materials and production methods to make the best gaskets and seals available Front fork air control gasket and seal kit Made in the USA Please Note: The image displayed is representative of the item, but may vary depending on your specific model. 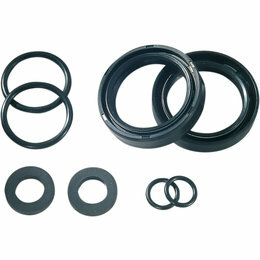 Genuine James Gaskets uses state of the art materials and production methods to make the best gaskets and seals available Front fork oil seal kit Made in the USA Please Note: The image displayed is representative of the item, but may vary depending on your specific model. 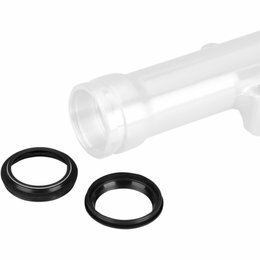 Genuine James Gaskets uses state of the art materials and production methods to make the best gaskets and seals available Front fork oil seal kit Tube O.D. 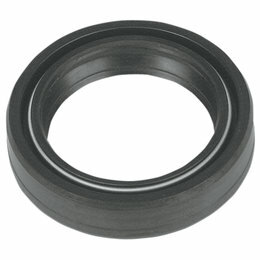 : 41.3mm Leg Bore: 54.0mm Seal Height: 14.0mm Made in the USA Please Note: The image displayed is representative of the item, but may vary depending on your specific model. 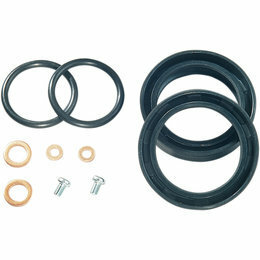 Genuine James Gaskets uses state of the art materials and production methods to make the best gaskets and seals available Kayaba fork oil seal kit Tube O.D. 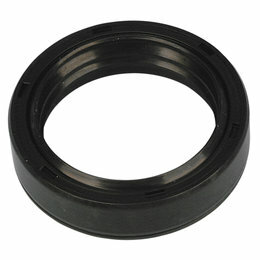 : 35.0mm Leg Bore: 47.0mm Seal Height: 10.5mm Made in the USA Please Note: The image displayed is representative of the item, but may vary depending on your specific model. 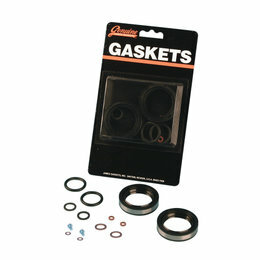 Genuine James Gaskets uses state of the art materials and production methods to make the best gaskets and seals available Front fork gasket and seal kit Includes metal spacer to replace felt washers and early oil seals Tube O.D. : 41.0mm Leg Bore: 54.0mm Seal Height: 11.0mm Made in the USA Please Note: The image displayed is representative of the item, but may vary depending on your specific model. 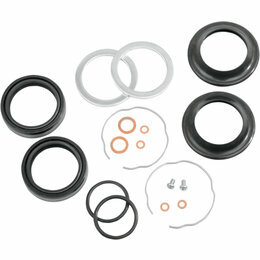 Genuine James Gaskets uses state of the art materials and production methods to make the best gaskets and seals available Front fork gasket and seal kit Tube O.D. : 41.0mm Leg Bore: 54.0mm Seal Height: 11.0mm Made in the USA Please Note: The image displayed is representative of the item, but may vary depending on your specific model. 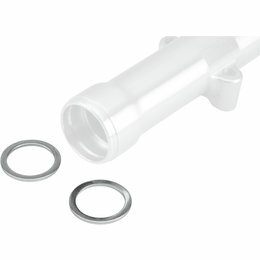 Genuine James Gaskets uses state of the art materials and production methods to make the best gaskets and seals available Includes: One (1) fork tube oil seal Tube O.D. : 41.0mm Leg Bore: 54.0mm Seal Height: 11.0mm Made in the USA Please Note: The image displayed is representative of the item, but may vary depending on your specific model. 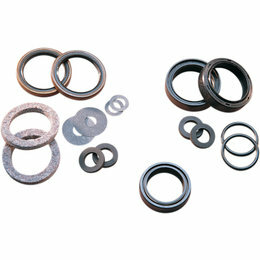 Genuine James Gaskets uses state of the art materials and production methods to make the best gaskets and seals available Includes: One (1) front fork oil seal Tube O.D. 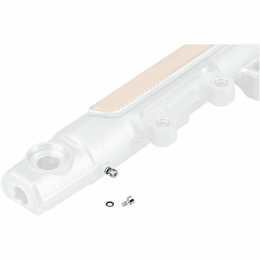 : 41.3mm Leg Bore: 54.0mm Seal Height: 14.0mm Made in the USA Please Note: The image displayed is representative of the item, but may vary depending on your specific model. 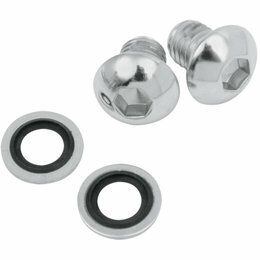 Genuine James Gaskets uses state of the art materials and production methods to make the best gaskets and seals available Fork drain screw kit with chrome cap screws and seal washers Made in the USA Please Note: The image displayed is representative of the item, but may vary depending on your specific model. 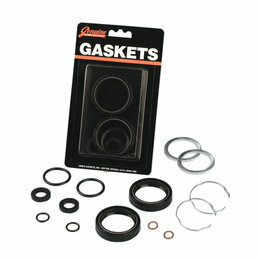 Genuine James Gaskets uses state of the art materials and production methods to make the best gaskets and seals available Fork drain screw kit with chrome button head screws and seal washers Made in the USA Please Note: The image displayed is representative of the item, but may vary depending on your specific model. 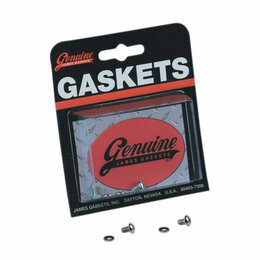 Genuine James Gaskets uses state of the art materials and production methods to make the best gaskets and seals available Fork drain screw kit with zinc screws and seal washers Made in the USA Please Note: The image displayed is representative of the item, but may vary depending on your specific model. 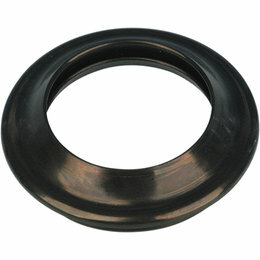 Genuine James Gaskets uses state of the art materials and production methods to make the best gaskets and seals available Includes: One (1) fork tube dust cover oil seal For use with oil seal JGI-45378-87 Made in the USA Please Note: The image displayed is representative of the item, but may vary depending on your specific model. 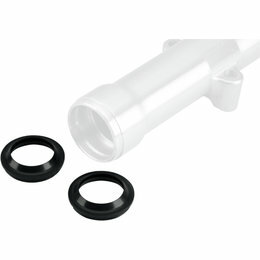 Genuine James Gaskets uses state of the art materials and production methods to make the best gaskets and seals available Includes: One (1) front fork oil seal Tube O.D. : 35.0mm Leg Bore: 48.0mm Seal Height: 11.0mm Made in the USA Please Note: The image displayed is representative of the item, but may vary depending on your specific model. 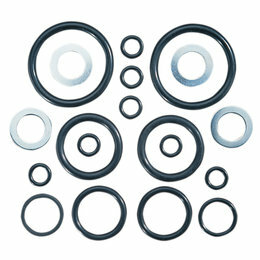 Genuine James Gaskets uses state of the art materials and production methods to make the best gaskets and seals available Includes: One (1) front fork oil seal Tube O.D. 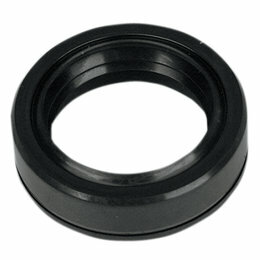 : 39.0mm Leg Bore: 52.0mm Seal Height: 11.0mm Made in the USA Please Note: The image displayed is representative of the item, but may vary depending on your specific model. 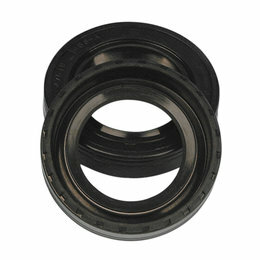 Genuine James Gaskets uses state of the art materials and production methods to make the best gaskets and seals available Includes: One (1) front fork oil seal Tube O.D. : 35.0mm Leg Bore: 48.0mm Seal Height: 13.5mm Made in the USA Please Note: The image displayed is representative of the item, but may vary depending on your specific model.